Anyone who’s done research on how to make money online has probably heard of the business model called Affiliate Marketing. But then they’ve also seen how much controversy there is surrounding whether it’s real or not. So for those asking, “Is Affiliate Marketing a business?”, the answer is a definite YES! I’m going to walk you through the ins and outs and show you why anyone can make money online with affiliate marketing. Let’s get started! Why Is Affiliate Marketing Called A Scam Sometimes? Do You Need Special Skills Or Equipment To Start? Affiliate Marketing Is A Very Real, and Very Profitable, Business! The affiliate marketing business model is actually a lot simpler than people think. Merchants pay a commission to affiliate marketers who promote their products or services and send customers to their site who buy something. We needed to get a new DVD player recently, but neither my husband nor I have kept up with the latest technology and prices. So I browsed the internet and found a great site that reviewed different DVD players. I clicked on their link to one that I liked that took me to Amazon, where I purchased a DVD player. The owner of the review site earned a commission from Amazon because they referred me to their site and I bought something. 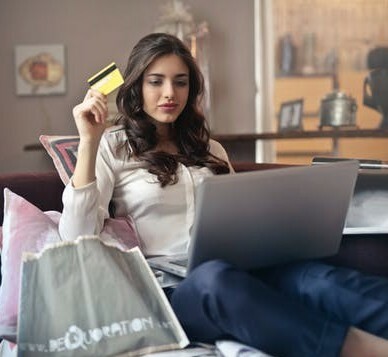 By the way, the customer never pays more for an item by going through an affiliate site, so it’s a win-win-win for the merchant, the affiliate, and the customer! Also, a great benefit for the affiliate marketer is that the referral customer doesn’t have to buy the exact item that they’re promoting in order to get a commission. Any product or service that they buy qualifies for the commission. I’m an avid Amazon customer, so when I bought the DVD player, I also bought a couple other items as well. The affiliate marketer who referred me got a commission on my whole purchase! Commission rates vary based upon what affiliate program you join and what type of product you’re promoting. The average commission from a company like Amazon runs about 3%-5%. But other types of programs have rates that can run from 50% and higher! So why would a business give a percentage of their sales to someone just because they promoted their product? Because it’s a great way to spend their advertising dollars and get targeted visitors to their website. One of the biggest expenses that companies incur is advertising costs to drive traffic to their site. 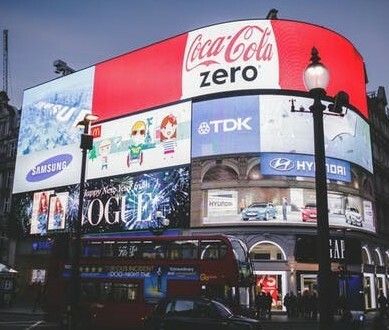 Ads for television, radio, newspapers, magazines, social media, print ads–these all cost a lot of money that they spend before they can earn any revenue from sales. But affiliate marketing is another way to advertise that is much more cost effective. The affiliates drive the traffic to the merchant’s site and don’t get paid anything until an actual sale is made. So the merchants have a low cost, fixed expense that they don’t have to pay until they’ve earned the revenue for it! Affiliate programs are a great addition to make a company’s advertising budget go farther. 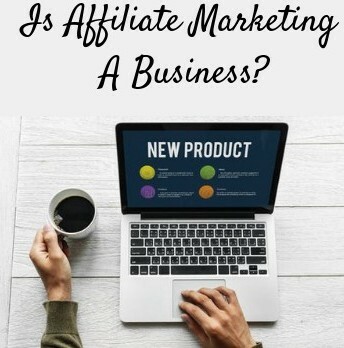 A great benefit for those thinking of going into affiliate marketing is that you can find businesses that have affiliate programs in any niche you choose! One of the reasons why affiliate marketing has been a controversial business model is because it has been associated with so many online scams. Since the internet got invented, people have found ways to make money with it, and that includes those who create online scams to empty your wallet. Many of those scams sell their systems as a way to make a lot of easy, fast money using affiliate marketing. But they’re really just get-rich-quick schemes that target those who are naive, inexperienced, or desperate to work from home, and they promise you can make thousands of dollars a week. Affiliate marketing takes time, hard work, and commitment, and you can’t expect to make money right away. In fact, it can take months to start making money, and even longer to actually make consistent, long-term income. How long is realistic? Check out my blog How Long Does It Take To Start Making Money With Affiliate Marketing? On this site, I review many make-money-online, MMO, programs. Probably 90% or more of them are low-quality or outright scams and will never produce the kind of income that they claim. In fact, it’s very likely buyers will lose money–possibly a lot! So affiliate marketing is not a scam at all, it’s a legitimate, profitable business model. But be aware that online scams do exist that claim to be affiliate marketing systems. Learn how to spot scams and recognize legitimate programs at Make Money Online Fast–Beware Of The Scams. Anyone can start and be successful with an affiliate marketing business because you don’t need any special skills! The only equipment you’ll need is a laptop and an internet connection. You don’t need any coding or marketing skills, and creating a website can be done in less than 3 minutes these days! ~ You have to be able to communicate. You don’t need to be a professional writer, but you do need to be able to communicate well with your readers. The way you promote products is by choosing a niche for your website and then writing articles and reviews about topics related to that niche. Good communication is simply being able to relay your thoughts and ideas in an interesting way. Having basic writing skills is important, but there are many tools available online for anyone who needs help with things like punctuation and grammar. When I first started writing posts, I would choose a topic and think about all the questions a person might ask about it. Then I wrote the article the way I would explain the answers if I was talking to that person. I learned to just talk to my readers and not worry about writing “professionally”. 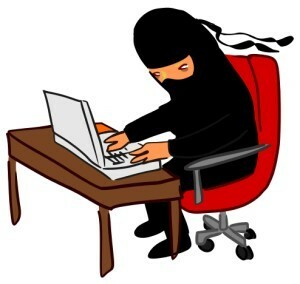 ~ You need to enjoy working on a computer or laptop. If the idea of working at a computer gives you a headache just thinking about it, you won’t enjoy affiliate marketing. But if you’re like me and love the idea of sitting down at your laptop and working from home, this is the business for you! ~ You must have realistic expectations. 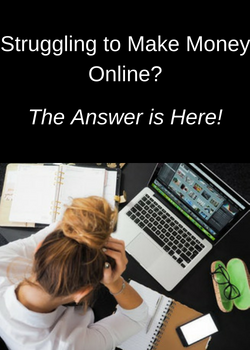 If you’re looking to make money now to pay bills, you don’t need an online business–you need a job. But if you’re looking to put in the time and effort now knowing that it will pay off with passive income down the road, you have the right mindset to start an affiliate marketing business! 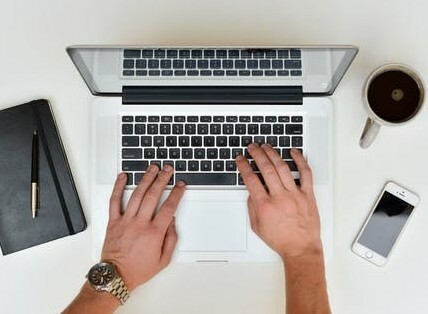 If you’ve gotten this far and love the idea of working from home as an affiliate marketer, I can tell you the absolute best way to get started! You need a program where you will get real training, be able to create high-quality, secure websites, and have the support and guidance from successful online entrepreneurs. The program I’m talking about is where I currently have 6 websites hosted and where I learned everything I know about creating a successful online business–Wealthy Affiliate. It passes every test for being a legitimate system and has thousands of training modules, weekly live video classes, and you can host up to 50 websites for just $49 per month. 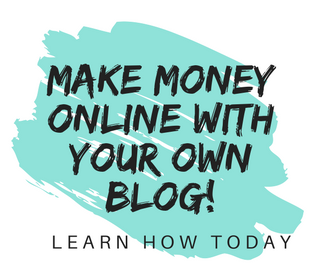 The very best part is that they have a starter program that’s totally free where you can create 2 websites and see everything they have to offer–with no credit card required! Wealthy Affiliate is not any kind of get-rich-quick program. In fact, they make it very clear that if you’re not willing to put in the effort, you won’t see results. But along with hard work, time, and commitment, the training and guidance you get with Wealthy Affiliate’s platform is the best way to get started! So, is affiliate marketing a business? Yes! Not only is it a real business model, but it can be extremely lucrative for those who get the right training and website hosting and who go into it with the right expectations and mindset. Ready to see how easy it is to create your first website? Click below and start your online business now! This is a very good article from you;buildyourearlyretirment. Affiliate marketing is a great way to make passive income massively but it is not an immediately profitable venture! Affiliate marketing takes time and commitment as well as dedication. Wealthy affiliate program is one of the best where they make affiliate marketing easier by giving you all the required trainings and information.What other affiliate program would you recommend for a newbie? How long before you start getting return from affiliate marketing on an average? no doubt affiliate marketing is business, it can be very profitable if done properly with the right mind set! Another affiliate training program that I can recommend is Affilorama. They have good training and I outline more details about their program in my review. Wealthy Affiliate is my top-rated recommendation, however, because they are less expensive and have a very active community forum. How fast you start seeing earnings from affiliate marketing has so many variables that it’s hard to pinpoint. However, I detailed an estimated timeline in my post How Long Does It Take To Make Money From Affiliate Marketing? You’ve just made my whole week! Thank you for taking the time to stop by, and I hope you’ll visit again! Hi yes I’m with you here. I was very apprehensive about getting into affiliate marketing as I was new to all this online stuff but after a year of doing this I can tell you it is definitely legit. I would say to anyone preparing to join though, it does take commitment and hard work. You’re exactly right! Those who are successful with affiliate marketing are the people who understand that it’s a business that you have to build through time and hard work. Good luck with your online business, and thank you for stopping by!